Alune Wade and Harold Lopez performing Aye Africa. Live at New Morning. If you are a music fan especially jazz, then you are in for a treat this weekend. Talented Senegalese vocalist and bassist Alune Wade will be the leading act at the Safaricom Jazz Lounge concert this weekend Saturday 4th November 2017 at the Uhuru Gardens. Wade who was born in 1978 in Dakar Senegal, grew up surrounded by music. His father was a leader of a symphonic orchestra in the army and his interest in music sparked off quite early. He began playing instruments at the age of 6 and at 13 years chose to play the bass guitar. With his father’s encouragement, he took music lessons and later joined his father’s orchestra at the age of 16, when he replaced an absent bass player. In his 30 years in the music industry, he has worked with renowned artists such as Senegalese Ishmael Lo whom he joined at the age of 18 and toured with across the globe. He has also played with bands of other artists such as Youssou N’Dour, Cheick Tidiane Seck, Bobby McFerrin, Mamani Keita, Henri Dikongue, Paco Sery, Mokhtar Samba and late Mr.Joe Zawinul. 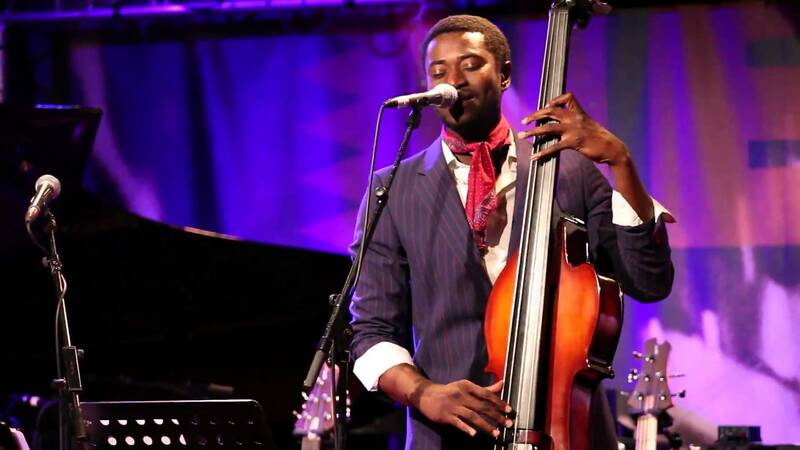 Apart from playing bass, he is a vocalist as well and has played and sang with other artistes in and out of Africa. HAVANA – PARIS – DAKAR is his latest album (released in 2015) and is a collaboration with Cuban pianist Harold Lopez-Nussa. His debut solo album which he released in 2006, was called ‘Mbolo’ (which means unity in Wolof). In 2010, he released his second album was dubbed ‘Ayo Nene’. “We are honored to be hosting yet another influential African Jazz musician who has not only played a role in exposing African music to the world but who also is a master at cross-cultural collaboration,” said Bob Collymore, CEO, Safaricom. 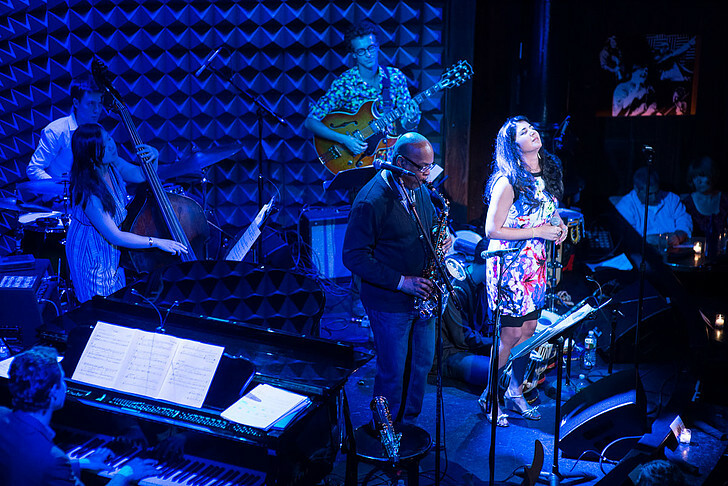 Kavita Shah live at Joe’s Pub. In the line up, will be New-York based Kavita Shah, a Jazz singer and composer, who also studied classical music and by age 10 she was a member of the Young People’s Chorus and was holding regular performances. She now leads a jazz quintet called the Brazil Trio and the 3rd World Orqestra. The sultry voiced Ms. Kavita Shah, expresses her musical dexterity through exquisitely exploring classical music and fusing it with West African and Brazilian musical influences into her jazz repertoire. Two Kenyan bands; Mambo Tribe and the Limericks will also showcase the growth and talent in the Kenyan Jazz scene. 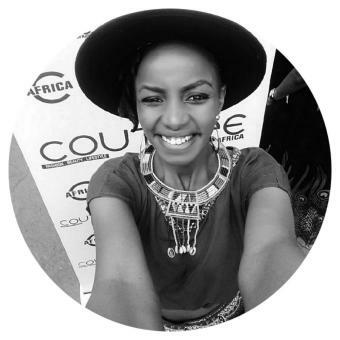 The two bands are made up of multi-cultural artistes from across Kenya and Africa as well. “The main objective of Safaricom Jazz is to enable Kenyan artistes to interact and collaborate with their international counterparts. So far we have had Edward Parseen and the Different Faces Band, Swahili Jazz Band, Shamsi Music and the Nairobi Horns Project share the stage with some of the world’s top jazz performers,” said Mr. Collymore. Tickets for the concert are Kshs. 2000 for a regular ticket and Kshs. 500 for a student ticket with proof of ID. Gates will be open from 6.00 pm and the concert starts at 8.00pm. Proceeds from all ticket sales will be donated to the Ghetto Classics Music program based in Korogocho. The music program has been supported by ticket earnings from the Safaricom International Jazz Festival since 2014, which was when the festival was started. Safaricom which has been providing a platform for artists of all genres to communicate through various forms of art, has so far handed over Sh. 37 million to the program. The funds have gone towards purchase of music instruments for the 650 children who are in the community program. If you are in the mood to be exposed to some ear expanding musical thrill, the Safaricom Jazz lounge will certainly be worth exploring.